Suggested Use: Adults & children 4 years and above-take two gummies daily, preferably with food, as a dietary supplement. 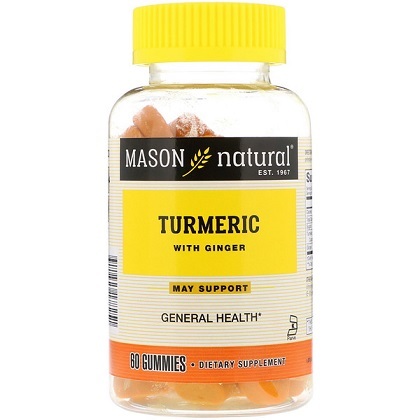 Ingredients: Turmeric Extract Curcuma Longa (rhizome) 270 mg, Ginger 12 mg.
Other Ingredients: Cane sugar, water, glycose syrup (corn syrup), citrus pectin (E-440), natural and artificial flavors, citric acid (E-330), and sodium citrate. Guaranteed no added: Egg, fish, crustacean shellfish, tree nuts, peanuts, gluten from wheat and other grains soybeans.